The main objective of the Two Phase Pressure Drop program is to calculate the pressure drop in a length of pipeline given that two phases are flowing. Two methods of calculation are offered: the Beggs-Brill method, and the Lockhart-Martinelli method. This is the replace and update of the PDrop 2 Phase App for IOS 7.0 and later. 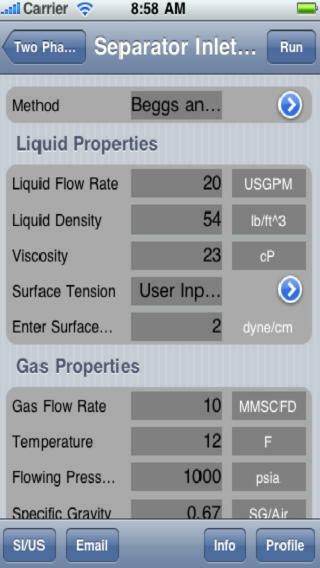 More Apps by Gas Liquids Engineering Ltd. Seller: Gas Liquids Engineering Ltd.